Similar to the idea of dressing for the job you want rather than job you have, sometimes brands can accelerate their growth by signalling their ambition to their customers and business partners. This appears to the case with Glorious Foods!, a relatively small UK brand that has just launched (at least conceptually) a very impressive interactive web-based initiative. A review of its website shows the soup, sauce and stew manufacturer to have a premium offering in the grocery channel with exotic flavours like ‘Goan Spiced Tomato and Lentil’ and ‘Brazilian Style Beef and Black Beans’, and several awards including The Grocer Food & Drink Gold Awards in 2010 and 2011. But with only 23 products in its portfolio it’s still a niche player. So its objective to create the world’s most comprehensive collection of taste and flavour recommendations – a “TripAdvisor for taste” – is definitely a bold declaration of its brand ambition. The Glorious! 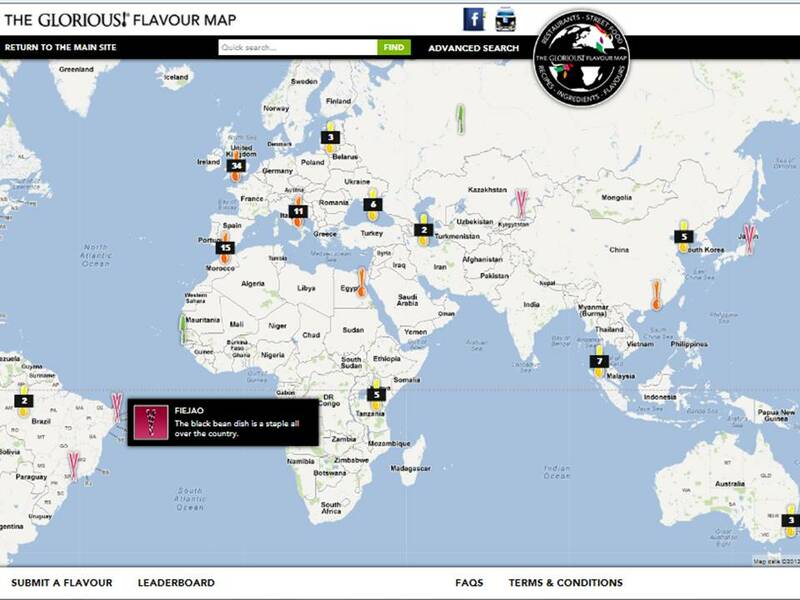 Flavour Map is “an interactive, crowdsourced map of global flavours” which allows users to pin meals, recipes or produce they have discovered on their travels onto Google Street View. Users can attach images, write reviews and search for foods by location, cuisine and price. Along with the web-based application, smartphone apps allow people to pin flavours and images to their current location while they are on the move. There is also a community voting system and a Facebook app. According to Glorious! “The fundamental aim of the Flavour Map is to inspire as well as re-educate consumers about flavours and savouring their food”. The company also plans to use the map’s outputs to guide its product development. Whatever the stated goals, this is a big initiative for a small brand that declares its intention to be at the leading edge of flavour development; possibly not just in the UK but internationally. And one that brings to life its stated passion for “bold, unexpected flavours, and unearthing authentic recipes and ingredients from around the world” and its commitment to “go ‘beyond expectations’ in everything we do, create and deliver”. As Peter Drucker has often been cited as saying (though originally stated by computer scientist Alan Kay) “The best way to predict the future is to invent it”.